Designed to meet the challenges of the long-range hunter the Terminus possesses the core qualities of a professional sniper’s rifle—extreme accuracy, consistency, rigidity, and durability—but with significantly reduced weight and ergonomics optimized for hunting. Easy to carry, terminally accurate at extreme ranges, and more than rugged enough for the rigors of high-country hunting, the Terminus is the ultimate long-range hunting platform. 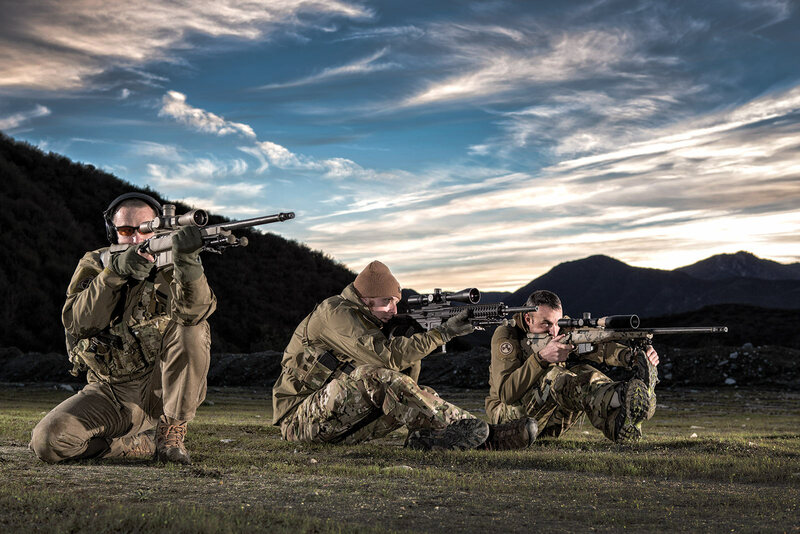 The ultimate long-range precision tactical system for combat or competition. Features include an adjustable cheek piece, a near vertical grip and a low-profile forearm. By combining our patented carbon fiber barrel with our hand-laid carbon fiber/Kevlar® composite stock and superior action we’ve created an incredible shooting system that weighs a fraction of traditional tactical rifles while compromising nothing. There is simply no better solution for those who actually have to carry their rifle before they shoot it.